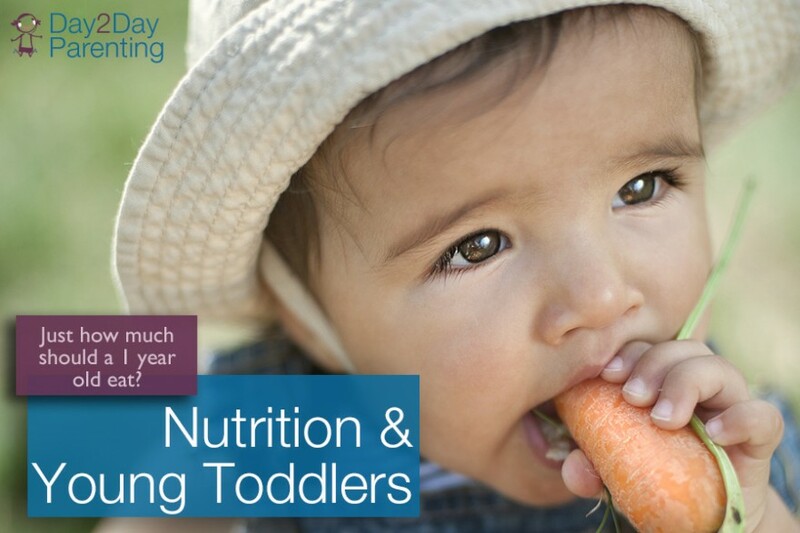 Toddler Nutrition: How Much Should a Young Toddler Eat? Home Most Recent Early Intervention Articles Toddler Nutrition: Just How Much Should a Young Toddler Eat? Do you worry that your child is not eating enough? Are you concerned about your child’s proper nutrition? It’s a common concern among many parents of toddlers and sometime we adults have unrealistic expectations of portions sizes for young children. 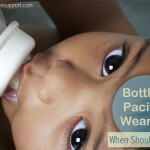 Once your baby turns a year old, his growth slows down a bit and he may not need as much food. Sometimes it may seem like your child only eats a few bites at each meal, but remember, portion sizes for proper young toddler nutrition are pretty darn small. Here are some guidelines and per ounce/per cup equivalents to give you a general idea of how much your young toddler should be eating in all of the major food groups. Children should not be consuming more than 24 ounces of milk per day because milk fills them up quickly and prevents them from eating other foods and getting proper nutrients. Kids under two should be drinking whole milk. Be sure to chop foods into small pieces and be aware that popcorn, grapes and nuts are choking hazards. Don’t cut hot dogs into wheels, instead slice lengthwise and make smaller bites to avoid choking. Generally try to serve 3 meals and two snacks per day. Don’t force kids to eat or to clean their plate. Serve 100% fruit juice, but again, do not let kids fill up on juice. Juices are not as nutritious as whole fruits. When serving cereals, choose ones that are high in fiber and low in sugar. Keep an eye out for allergies, especially if someone else in your family has food allergies, however, kids this age should be able to eat peanut butter, soy, fish, etc. Keep in mind that when presenting a new food to a child, do not assume he does not like it if he doesn’t want to try it the first time around. Kids needs as many as 17-20 presentations of a new food before they may taste it, so keep offering and praise for all attempts at tasting new foods even if they aren’t completely eaten the first few times!